Yep, I'm back to virtuality more or less after a 1-week flat re-decoration which was quite tireseome but refreshing at the same time. I've been flooded by music in teh meantime. Sorry if I did not get back to you but I have just started slowly wading through my e-mails. 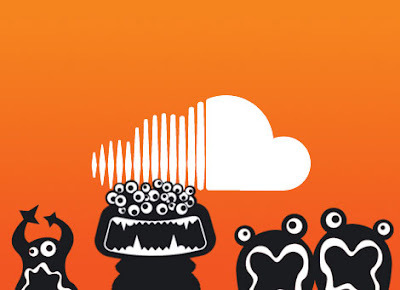 For a starter, a quick check of (mostly) soundclouded goodies. At first - a pretty complex remix of Mochipet's - Complex Players Dub by Sugarpill (don't miss his fantastic show on glitch.fm). The Bad Boys from The Chrome Mansion sent me a killing refix. Akira Kiteshi remixing Stagga, wowwaweeee! Metal on metal treatment indeed. Highly recommended! Peeps in USofA should watch out for Stagga as he is (or was? I am not sure) currently touring your land. If you have not bought the now-classic glitch / crunk hop compilation - Acid Crunk vol.2, just lisen to this fantastic psycho-joint by Akira Kiteshi and re-consider your buying options :) Ulyssssssesss! Another rich (as usual) and complex remix comes from my favorite Berlin producer - Robot Koch. 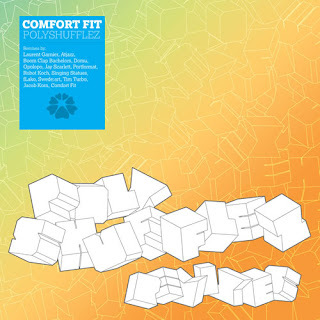 His work is a real higlight of the pretty good compilation Comfort Fit – Polyshufflez Remix LP to be released on 17th of December 2009 on Tokyo Dawn Records. Other contributors include: Laurent Garnier, Boom Clap Bachelors, Atjazz, Domu, Opolopo, Jacob Korn, fLako and more. If time allows, I'll post a longer review of this relase on my blog. Freddy Todd from Detroit persistently follows the glitched-up formula in his music, with quite a nice results in general. LoFi Fiction Blaster is dirty, whompy future funk banger. Don't miss this one. Finally, one more from Detroit, another Freddy Todd's banger in purple-synths NastyNasty remix. Wicked!